Saturday, April 3, 1948 at the White House in Washington D.C.
WWII had ended just over two years earlier and the winter of 1946-1947 had been the worst one in living memory. 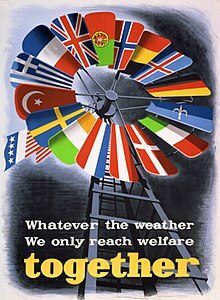 With mass starvation, chaos and the spread of communism riddling Western Europe since the end of the war, a comprehensive system of economic aid for Europe had now finally come to the fore. 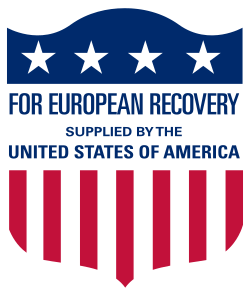 Its official title was the European Recovery Program (ERP), but history and the world would better know it as the ‘Marshall Plan’, named after Secretary of State George C. Marshall – one of the most highly respected and most popular persons in the United States at that time. What Secretary Marshall and President Truman were proposing was not military action, but an economic plan that would involve a delay in the withdrawal of American forces from Europe and a program of financial aid that would pump anywhere between $8-17 billion dollars into the economies of receptive countries. This money would then be used to buy food, resources and other goods from the United States in the hopes that it would help them combat mass starvation, rejuvenate their economies, rebuild utterly destroyed areas, and prevent their democracies from rapidly moving toward the Left – something that was seen as a real danger at the time. 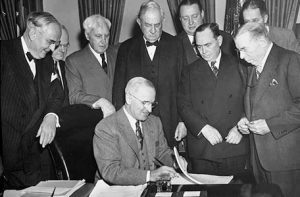 Therefore, it was on this day 71 years ago that U.S. President Harry S. Truman signed the Marshall Plan, initially granting $13 billion dollars in economic assistance to 16 European nations. With this coming a little over a year after Greece and Turkey had been granted $400 million dollars in aid, no other president in U.S. history has ever approved so much money to aid people who weren’t Americans. The success of the Plan has been criticized by modern historians who argue that some recipient nations had already been experiencing economic recovery, while others negatively argue that it strengthened American economic imperialism abroad. Yet, what’s important to keep in mind is that this stimulus came at a time when a psychological boost was badly needed as countries were still struggling to cope with the economic and human aftermath of WWII, as well as the terrible aforementioned winter. 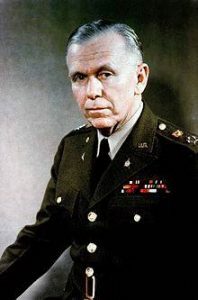 In short, many people at that time – who were living history forward and not backward – understood the Marshall Plan as a compassionate program and found it to be a real badge of honor for the Truman administration. With the “Decree of the Reich President for the Protection of People and State” (The Reichstag Fire Decree) only 22 days old and having served as the “legal” basis for the arrests of thousands of opponents of the Nazis up until that point, Hitler and the National Socialists were on the brink of fully recruiting the remaining nationalist parties in the Reichstag to pass a law that would turn over all government functions to Hitler himself. 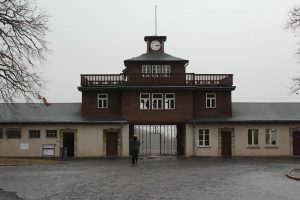 Before this could happen, as far as Hitler was concerned, a ceremony that would underscore the National Socialists’ politics of propaganda and terror needed to be triumphantly held to illustrate a glorified connection between the traditional powers of the “old Reich” and Hitler’s “young” and “dynamic” Nazi movement. Always the dramatist, Nazi propaganda head Josef Goebbels staged the inauguration of the new Reichstag (following the national election of 5 March) in the “Day of Potsdam” by convincing President Paul von Hindenburg to go to Potsdam and give his blessing to the new Nazi regime 86 years ago today. Even today’s date – March 21 – had symbolic significance to the “old Reich” for it was the date on which Otto von Bismarck had first opened the all-German Reichstag following the German Unification of 1871. 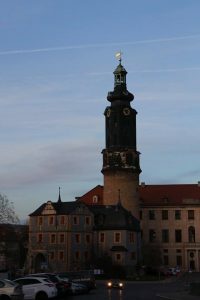 In addition to a motorcade parade through Potsdam, the main ceremony took place in the Garrison Church, located just blocks away from the Potsdam City Palace – which had served as the second official seat of the dynastic Princes of the Holy Roman Empire, Kings of Prussia, and German Emperors of the House of Hohenzollern for nearly three centuries. 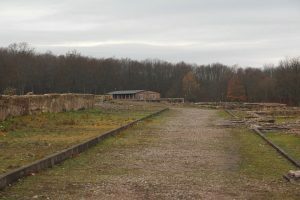 Moreover, the Garrison Church had been the final resting place of Hitler’s hero and one of the most influential monarchies in European history, Frederick the Great. With the last Crown Prince of the Hohenzollern dynasty – along with his brothers – in attendance, the ceremony got underway just after noon local time. Hindenburg marched down the nave of the church while decked out in his gray field marshal’s uniform and carrying his spiked helmet in his left hand. 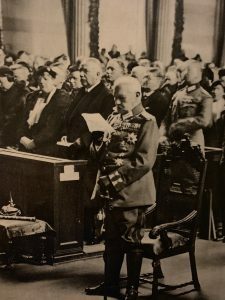 Just before reaching the church’s Imperial Gallery, the old general paused and saluted the empty pew of the last Prussian King and German Emperor, Kaiser Wilhelm II. After uttering these words, Hitler stepped down from the altar, bowed to Hindenburg, and shook his hand – producing one of the most infamous photographs in modern history. Yet at the end of the day, this melodrama inside the Garrison Church at Potsdam was more than a triumphant ceremony. This was the moment in which Hitler – the leader of the young and dynamic Nazi movement – proclaimed the creation of the “Thousand Year Reich” in the presence of the symbols of Germany’s glorified past. 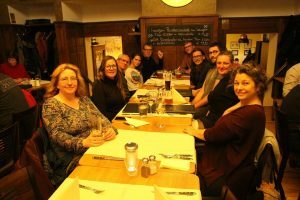 A national mood of euphoria in this new “Volksgemeinschaft” (People’s Community) had been born and it unfortunately resonated with broad parts of German society throughout the country. 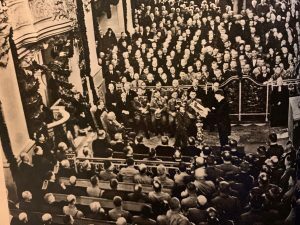 Along with this wave of enthusiasm, the collective optimism of the German people – which hadn’t been felt since 1914 – began to blossom as well, with only limited opposition to this new national hysteria. Alas, Nazi Germany had now come into existence. 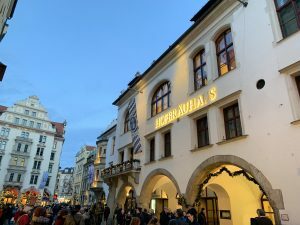 It was 99 years ago today that Adolf Hitler delivered the Nazi Party’s 25 Point Platform to around 2,000 people in Munich’s famous beerhall, the Hofbräuhaus. This event is often regarded as the founding of the Nazi Party. 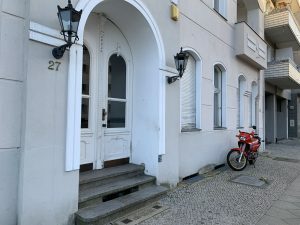 The Nazi Party’s roots actually go back to March 7, 1918 when political factions with exotic names were popping up all over Germany at the end of WWI. 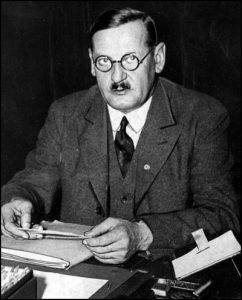 One of these was called the “Free Labor Committee for a Good Peace,” which was founded by a Munich locksmith named Anton Drexler. 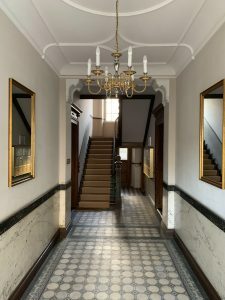 The little party consisted of some forty railwaymen and different friends of Drexler who were all banded together in a spirit of fierce nationalism, anti-Semitism, and support for the war effort. 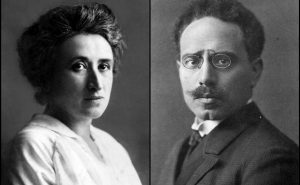 Following the German defeat in WWI, however, the “Free Labor Committee for a Good Peace” reinvented itself and became the “German Worker’s Party (DAP)”. 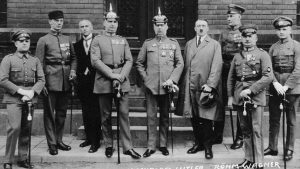 It was on September 12, 1919, that Hitler stumbled upon Drexler’s party after his military superiors had sent him to investigate it to draw up a report on its activities. Beerhalls in Munich were the acceptable place for political parties to meet in those days, mostly due to their sheer size. 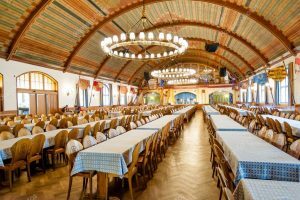 Some enormous establishments, like the Hofbräuhaus, could seat 2,000 or more people and they often had platforms for orchestras, which could be instantly transformed into podiums for politicians. He would eventually join the party and become its 55th party member on January 1, 1920. Hitler quickly helped Drexler to realize that the party had to have a clear program (which it certainly didn’t have at the time) in order for it to have an effective voice. Together, the two men would sit down and write the 25 Points of their party’s program, which was completed on February 6. 1920. 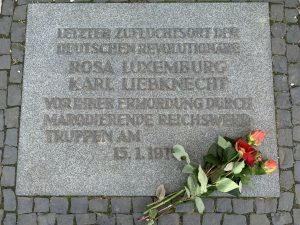 Among preaching nationalism in its highest form, the 25 Points focused on calling on Germany to reject the Treaty of Versailles, that Germany take back its territories that had been lost after WWI, and that only those who have German blood can become citizens (which would exclude Jews). 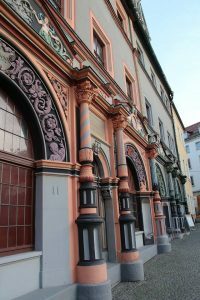 A little over two weeks later, 99 years ago today, Hitler gave the first reading of the 25 Points to a Hofbräuhaus that was filled to capacity; and even included a large number of communists spoiling for a fight among the around 2,000 people in attendance. Fron this point onward the party would be referred to as the National Socialist German Worker’s Party (the Nazi Party) or (NSDAP), whose acronym would become a byword for tyranny of the greatest form, synonymous with the perishing of millions of innocent lives, and a movement responsible for one of the largest catastrophes – of unprecedented proportions – in world history. Two hundred and forty-one years ago today, Friedrich Wilhelm von Steuben, better known as Baron von Steuben, arrived at Valley Forge, Pennsylvania to help train Commander George Washington’s Continental Army during the American Revolutionary War. 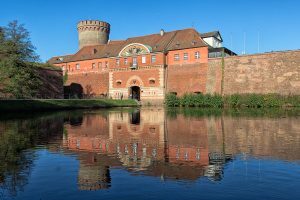 Born just 90 miles southwest of Berlin, he joined the Prussian Army when he was 17 years old and served as second lieutenant during the Seven Years’ War (1756-1763). After earning the rank of captain in 1761, he would then serve as a secretary of the General Staff to Prussian King Frederick the Great. 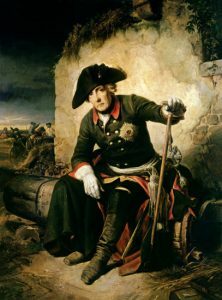 This experience would arm him with a wealth of knowledge and even give him the opportunity to take part in special courses of military instruction that were delivered by Frederick the Great himself. In 1777 von Steuben met Benjamin Franklin during a visit to Paris. Franklin certainly realized the potential of having an officer with Prussian general staff training in the Continental Army, but he wasn’t in a position to offer von Steuben a position or salary at that time. 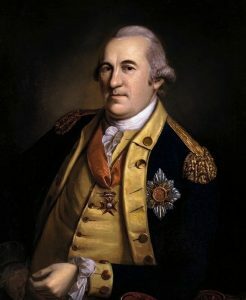 It wouldn’t be until later that year that von Steuben was introduced to Commander in Chief George Washington by means of a letter from Franklin as “Lieutenant General in the King of Prussia’s Service,” an exaggeration of his actual credentials that most likely was a mistranslation of his service record. In any event, he was advanced travel funds and left Europe from Marseilles, arriving in New Hampshire in December 1777. He would soon serve as Inspector General and Major General of the Continental Army and is credited with being one of the fathers of the Continental Army in teaching them the essentials of military drills, tactics, and disciplines. Eventually, he would serve as Washington’s chief of staff in the final years of the war. 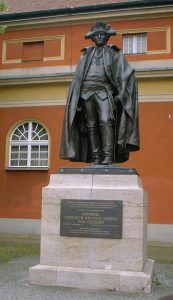 In 1911 the United States Congress presented the city of Potsdam with a memorial statue of von Steuben. 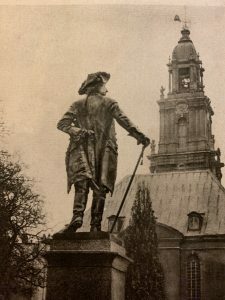 Unfortunately, this was melted down after WWII, but it was replaced in the mid 1990s with a replica that now stands near the site of the original one in the heart of Potsdam’s Neuer Markt. 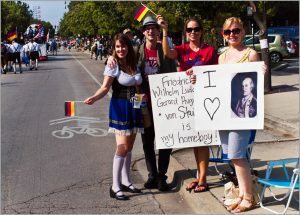 And on the third Saturday in September, the annual German-American Steuben Parade is held in New York City to honor von Steuben as one of the most influential German-Americans who profoundly contributed to America’s fight for independence, as well as for his training the thousands of young American soldiers who fought to achieve victory in the American Revolutionary War. 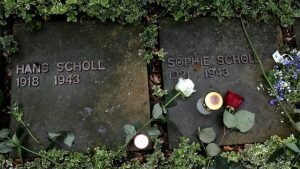 On a cold, February afternoon in Munich 76 years ago today, 21 year old Sophie Scholl, a pioneer and active member within the White Rose resistance group in Nazi Germany, was found guilty of high treason and beheaded by a guillotine in Munich for distributing anti-war leaflets at the University of Munich with her brother, Hans. The Nazi court allowed no testimony for Scholl and the other defendants; this quote was her only defense. 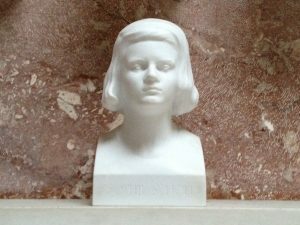 In 2003 the government of Bavaria placed her bust in the Walhalla Temple, something that would’ve been inconceivable when it opened in the 19th century (let alone during the Nazi period). 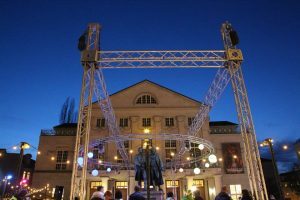 Later that year, the German television network ZDF invited people from around Germany to participate in the so-called “Unsere Besten” (Our Best), a nationwide competition to choose the top ten most important Germans of all time. Young voters helped Scholl and her brother to finish in fourth place, above the likes of Einstein, Bach, Goethe, and Bismarck. She was only 21 years old. Despite losing 2 million votes in the November national election of 1932 and thus losing 34 seats in the Reichstag in Berlin, the NSDAP still remained the largest and sadly the most popular political party at a time when economic and political instability riddled Germany’s young democracy. 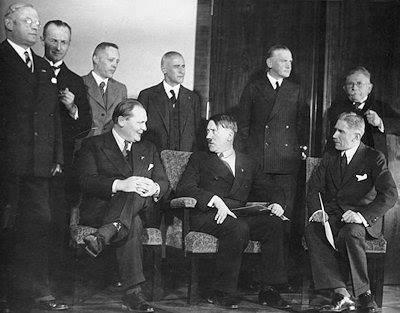 And after Chancellor Kurt von Schleicher failed to secure parliamentary support at the beginning of 1933, the Catholic Center Party’s leader, Franz von Papen, and his cronies, led negotiations with President Paul von Hindenburg to appoint Adolf Hitler German chancellor, believing that they could tame him by dominating his cabinet with the old conservative elite. 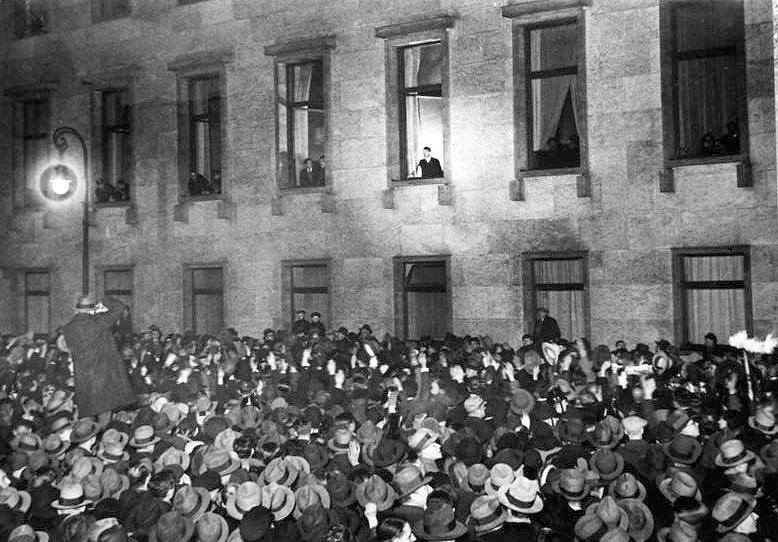 And so #OTD 86 years ago at around 11:30 in the morning, arguably the biggest blow to Germany’s young democracy up until that point came when Hindenburg appointed Hitler as German Chancellor at the Presidential Palace on Wilhemstraße in Berlin. 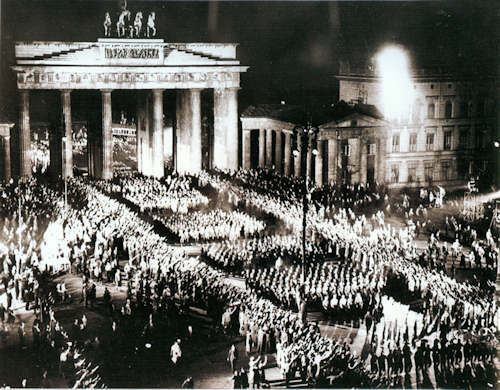 That Hitler’s appointment as Reich Chancellor was no ordinary change of government became immediately clear, as his Propaganda Minister, Josef Göbbels, organized a torchlit parade consisting of members of the SA, SS, and Steel Helmets that went through the Brandenburg Gate and through Berlin. One pro-Nazi newspaper enthusiastically estimated that 700,000 marchers took part in the parade, while less than amused papers put the number at just over 100,000, and the hostile sources put the number of uniformed marchers at no more than 20,000. Crowds of onlookers lined the streets to watch the marchers and the spectacle was typical of the kind of stage-management which German society could now expect from Göbbels’s propaganda machine. Needless to say, the person directly responsible for appointing Hitler as Chancellor of Germany earlier in the day was confused. But many people who took part in that evening’s celebration weren’t. 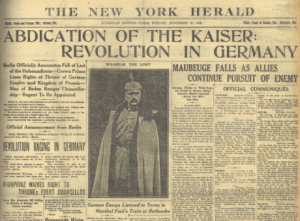 Hindenburg was presented by the National press as the central figure in the jubilation, helping several people – who had felt nothing but shame and disgrace for the previous 14 years since the end of WWI – feel a revival of the spirit of 1914 that was felt at the outbreak of the Great War. These would all be sentiments with which every Nationalist could agree. 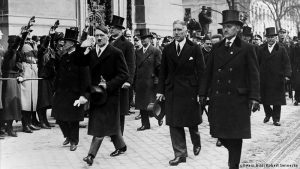 Unfortunately, von Papen’s and his cronies’ careless dismissal of Hitler and the NSDAP – as well as Hindenburg’s infamous appointment – can be seen as some of the vital roots to what would later become a world tragedy of unprecedented proportions. When it comes to German history, November 9 is a date like no other. 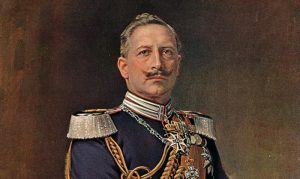 With the German Imperial Army on the brink of defeat at the end of WWI – and with political and social revolutionary forces sweeping through the country, Prussian King and German Emperor Kaiser Wilhelm II, was advised and urged to abdicate from his throne. 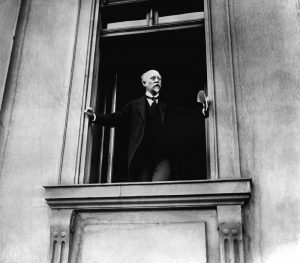 In part, this was largely a symbolic gesture of compliance to show the Allied nations that Germany was fully committed to setting up a democratic system – as outlined in US President Woodrow Wilson’s Fourteen Points – in the hope that the country would receive a fair treatment at the forthcoming peace conference at Versailles. 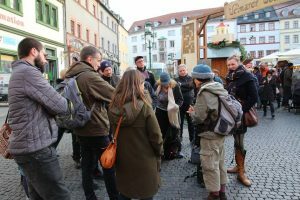 The seeds of what would become known as the Weimar Republic – Germany’s first attempt at a democracy – had just been planted, and centuries of history of numerous German monarchies had come to an end. 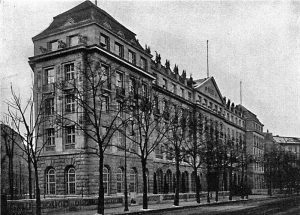 With economic instability and political chaos riddling Germany’s young democracy, Adolf Hitler and his cronies from the National Socialist German Workers Party (NSDAP or Nazis) – along with the respected WWI General Erich Ludendorff – staged a putsch in Munich on the night of November 8, 1923. Inspired by Benito Mussolini’s successful march on Rome in 1922, the idea was to seize control of the Bavarian government and make a march on Berlin to establish an authoritarian dictatorship under Hitler and the Nazis. 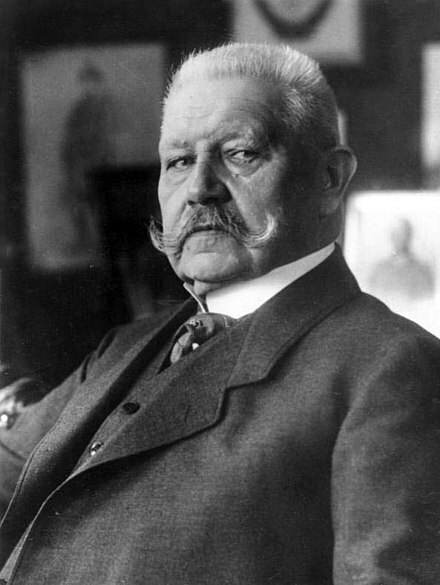 Unfortunately for Hitler, the putsch was haphazardly planned as he’d failed to guarantee the support of the police and the army before it began; and to add insult to injury, the stubborn old Ludendorff was late in turning up for the putsch, which allowed the Bavarian Minister President Gustav Ritter von Kahr to eventually make a quick phone call to Bavaria’s reserve army to confront the Nazis. 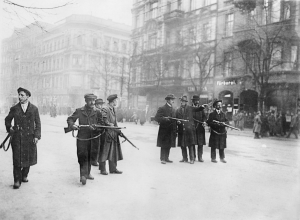 As soon as Hitler’s forces finally began marching through the streets in the early morning hours of November 9, 1923, Bavaria’s reserve army squashed the uprising in a matter of minutes. Hitler was quickly arrested two days later and charged with high treason against the German government. At his trial a few months later, Hitler took advantage of exploiting this opportunity as a propaganda platform – and was astonishingly allowed by a group of sympathetic conservative judges – to use his inexplicably gifted oratory skills to turn his trial into a political showcase. Among his rambling, he would ultimately highlight his desire to take back what had been taken from Germany after WWI and make it clear that his ultimate (racial) goal was to protect and defend the purity of the German people. Despite the fact that the judges found him guilty – issuing a 5 year prison sentence – they also awarded him the possibility of parole after 9 months, which he was easily granted just before Christmas of 1924. 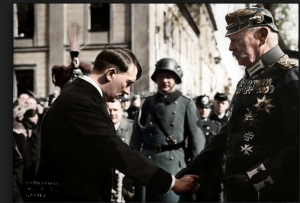 This so-called “Beer Hall Putsch” of November 8/9 1923 did two things for Hitler. First, it taught him an important lesson: One cannot take control of government by force; rather, he needs to democratically come into power and then he can destroy through politics. 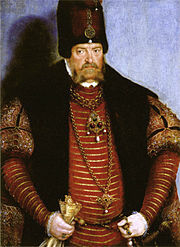 Second, the political circus and eloquent ranting at his trial got his name in newspapers outside the borders of Munich which permeated from the Bavarian capital all the way up to the shores of the Baltic and North seas. Alas, within a decade of the Beer Hall Putsch, Adolf Hitler was appointed Chancellor of Germany. 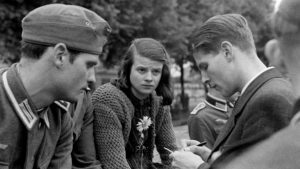 Ever since the Nazis came to power in 1933, Jews throughout Germany had been made to feel like second class citizens. First it began with an increasing amount of verbal harassment and physical violence. 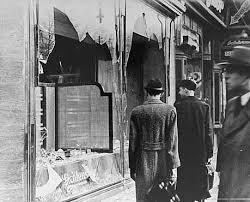 This culminated into a boycott of Jewish goods and businesses, as the harassment and violence continued. Pretty soon, Jews were stripped of their German citizenship and their assets were seized. In short, the Nazis were hoping that Germany’s Jews would just simply ‘take a hint’ and leave Germany. 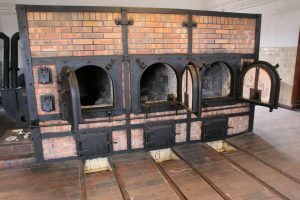 Moreover, around an estimated 30,000 Jews were viciously rounded up and sent off to concentration camps, with around a 100 alone being murdered on that infamous night. On this tragic day – 80 years ago today – Nazi anti-Semitism transitions from ‘legal’ persecution to a continual wave of violent attacks and deportations; and it would only be a matter of time before it resulted in a murderous conclusion on a scale of unprecedented proportions. The times were changing in East Germany in the fall of 1989. 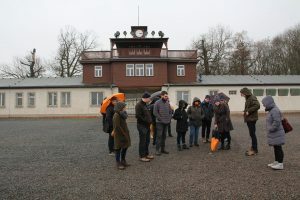 The East German people themselves had been courageously putting an enormous amount of pressure on the East German government to relax its travel restrictions and the leaders of the regime knew that some sort of change was quickly needed. 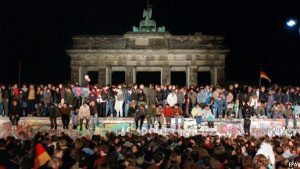 At a live press conference that included the attendance of journalists from around the world, on the evening of Thursday, November 9, 1989 an East German bureaucrat and spokesman named Guenter Schabowski read the minutes of a high profile meeting that took place earlier in the day. Towards the end of his minutes in hand, Schabowski read out loud that there had been extensive discussion in that morning’s meeting that would allow East Germans to leave East Germany on visa. Suddenly he was asked when this would take effect. 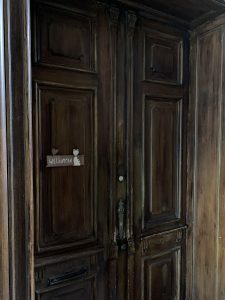 Given the fact that he wasn’t at that morning’s meeting – thus having no idea when exactly it would – he just hastily paged through his notes and quickly said, “Ab sofort” (immediately). Through the help of the West Berlin media playing this blunder over and over on the radio waves shortly thereafter, word spread like a wild fire and it ultimately resulted in sending thousands of East Germans towards the East Berlin and West Berlin crossing points, where baffled guards eventually let them through and thus culminating into the “Fall of the Berlin Wall.” Yet, celebrations on November 9 have long been shunned due to the troublesome events that are mentioned above. 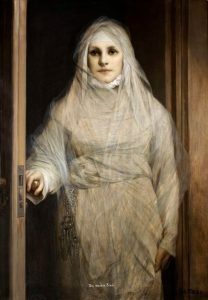 The “day of fate” or “Schicksalstag” as it’s said here in Germany is indeed a tumultuous date in the country’s history with events that have directly or indirectly affected the lives of millions of people throughout the world.